ACCOLADES FOR ARDENEAnother successful saleTotal clearance of 10 stud rams at 2017 sale$20,000 ram purchased by Ardene in 2016When White is rightSupreme Champion Cleanskin ExhibitArdene's first home based embryo transfer programArdene's lamb at the Lake View Hotel in Bendigo.AWSBA Tent at Bendigo Sheep and Wool ShowAdelaide Royal ResultsInaugural Sale ResultsNew AdditionRenovations underway! Ardene is now located at Mt Torrens (Adelaide Hills, SA). Flock rams for sale now. 2019 On-Property Stud & Flock Sale Friday 11 October @ 1pm. Buyers from near and far took the opportunity to snap up quality breeding ewes at Ardene Australian White stud's final sale at its Darlington property. In the final stages of relocating to Mt Torrens, SA, the stud offered 181 mixed-age ewes, as a way to reduce its flock numbers slightly. Of the 181 offered, 75 sold, to a top price of $3800, and an average price of $1208. And the top price of the sale was recorded at the very first lot. Lot 1 was purchased by Nick Lawrence, Pinnacle Livestock Selections, on behalf of Gemma Chenik, 'Windsong Valley Estate', Bedfordale, WA, who was a top purchaser at Ardene's ram sale last month. Mr Lawrence said the 2017-drop ewe was “perfect in type”. “She's black in the feet, got great hindquarter muscling, that comes right through, and good skin type,” he said. Of the eight ewes purchased on behalf of Ms Chenik, he said she was the “one to grab”. He bought a mixture of older and hogget ewes, av $2113, which had similar bloodlines to those purchased last month. He said it was a unique opportunity to be able to buy such outstanding ewes from Ardene. “You don't come across ewes like this everyday, let alone Australian Whites,” he said. The ewes will make their journey to the west in two weeks. But Mr Lawrence wasn't the only buyer taking advantage and buying in volume. Buying on behalf of D&K Teskera, Roslynmead West Australian White stud, Echuca, was Stephen Chalmers, Landmark, who snapped up 12, to a top of $2000 five times, av $1517. Mr Chalmers said the ewes had good meat and feet, and were good shedders. He said being able to buy quality ewes was a good opportunity. Ardene stud principals Bruce and Jannie Hodgson reassured that while they were selling off a big portion of their ewe flock, it was purely to make room for the better sheep coming through. “Every year they're improving, and this year's lambs are even better,” Mr Hodgson said. Ms Hodgson said they will transport 700 ewes, rams and lambs to the new property next week, and will rebuild numbers once they are settled in. They said they would still participate in the Victorian shows and open days that they have for many years. Stock and Land. 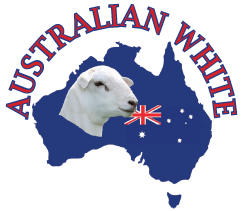 Joely Mitchell @joelyjournalist 19 Oct 2018, 4:30 p.m.
ARDENE offered its best ever line up of Australian White rams and ewes at its on-property sale on Friday, and while local and interstate bidders eagerly snapped up much of the offering, the overall clearance rate was impacted by the drought. An impressive line up of 20 stud ewes, 10 stud rams and 74 flock rams were offered, with 56 per cent of the 104 lots clearing. Co-principal of the Darlington stud, Bruce Hodgson, said while the flock rams were the hardest hit, he was really impressed with how the stud offering sold. And it was a buyer from Western Australia who dominated in the stud ewe offering. Gemma Chenik, 'Windsong Valley Estate', Bedfordale, WA, purchased five ewes, as well as one ram, topping at $2750. It was purely coincidental that Ms Chenik was able to attend the sale, having just returned from a holiday in New Zealand, and was on her way to Sydney to visit family. But she had been conducting a lot of online research into Australian White genetics in recent times, as she is in the process of starting her own Australian White stud. “When I started researching shedding breeds, Australian Whites really stood out, they're so versatile and easy to maintain,” she said. She said her top ewe had an “exceptional” carcase type. “She's nice and smooth, and has impressive shape,” she said. Nick Lawrence, Pinnacle Livestock Selections, purchased the top-priced ram on behalf of KD Sheep Stud, Mundulla, SA. He is pictured with Jannie and Bruce Hodgson, Ardene Australian White stud, Darlington. Two rams hit the top price in the sale, $4000, lots 21 and 22. Lot 21 was purchased by Nick Lawrence, Pinnacle Livestock Selections, on behalf of KD Sheep Stud, Mundulla, SA. Mr Lawrence judged the ram at the Royal Adelaide Show, SA, earlier this year, and said he had excellent skin and type, with a sirey outlook. “He's going to add muscling and scaling right through the flock,” he said. Mr Lawrence also purchased a second ram and a ewe for the stud, who runs Australian Whites, White Dorpers and composites. The other top-priced ram, Lot 22, was purchased by 'Leridan'. Leridan purchased another eight rams, av $1517. Another volume buyer was GW & BM Rogers, who purchased seven ewes to a top of $2250, av $1507. The sale was the final sale Ardene will host at its Darlington property, as it gears up to relocated its operation to Mount Torrens, SA, later this year. Bruce & Jannie Hodgson founded Ardene in 2012, with the aim to produce a high quality lamb that required minimal input, and maximum output. The stud acquired embryos from the Australian Foundation Flock, along with 12 stud ewes from the Flock dispersal, to form the basis of its stud gene pool. Embryo transfer programs are a major component of Ardene's development, with a number of large programs being conducted every year. Maximising genetic gain and gene pool is an important factor for Ardene. From its inception, Ardene has strived to use the best genetics available. This has included investing over $38,000 on 3 stud rams in the last two years alone, including $20,000 on 150140 at Tattykeel's 2016 sale. Ardene is always open for inspections and private sales of rams and ewes. Embryos are available by prior arrangement. Ardene has flock rams available for purchase, at Baroa Pastoral Co., Creightons Creek via Euroa (Vic).